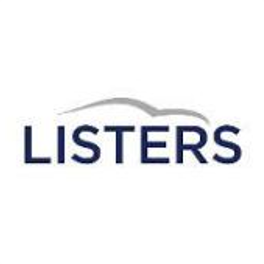 Listers is the largest private and family owned automotive group in the UK, with an annual turnover over £2.1bn. The group, rated 13 in the Motor Trader Top 200, has been operating for 39 years across 52 dealerships. The company represents Audi, BMW, Honda, Jaguar, Land Rover, Lexus, Mercedes, Mini, Seat, Skoda, Smart, Toyota, Volvo and Volkswagen cars and commercial vehicles. Despite having one of the UK’s market-leading MDM solutions, Listers became increasingly aware of its limitations in managing their widely dispersed fleet of over 500 mobile devices across its 52 dealerships. With the business being spread over a broad geographical area, simple tasks such as enrolling devices was proving highly inefficient and costly to the business, requiring an on-site visit by an engineer. Whilst other features within the legacy MDM solution were cumbersome and unnecessary, other simple features and reports were not obtainable. The organization struggled to clearly see their monthly expenditure on mobile hardware and the value of those assets for insurance purposes. As an existing user of Certero for Enterprise ITAM, Listers already had Certero’s hyper-scalable platform in place and naturally chose to review Certero for Mobile as part of their vendor research. Listers to manage and optimize everything from a single interface. Regardless of the significant benefits offered by Certero’s unique platform, Certero for Mobile had to stand-up in its own right as an Enterprise Mobile Management solution by offering significant operational benefits to the business if they moved away from their incumbent provider. Through a technical demonstration of Certero for Mobile, it was apparent that Certero’s innovative approach had captured the essence of what was important to Listers in managing their mobile devices, providing centralized control, detailed reporting and increased efficiency throughout the mobile asset lifecycle stages. Listers utilized Certero for Mobile App and QR codes to quickly and easily enrol new users, reducing the time consumed by their old solution by around 90%. With Certero for Mobile’s cost management features, Listers are able to define specific costing rules for devices using invoice values, which means they can now accurately track IT budgets and spend using KPI charts. Required by the finance department and for insurance purposes, these reports are now automated in a dynamic and up-to-date environment and have replaced Listers’ old spreadsheet processes. Listers found that Certero for Mobile EMM was more functionally proficient than their incumbent ‘market leading’ solution and saved their business significant time and expense by eliminating manual processes. Certero for Mobile was also priced a lot more competitively than their existing solution. With the use of mobile devices increasing across the business, the cost reductions and efficiency gains offered by Certero’s solution, combined with the a more competitive pricing structure, meant it was better to swap to Certero immediately than wait for the existing 12 month contract to expire.